You can call it a quartet, because Canton Junction indeed consists of four-part-harmony. But this vocal group represents far more than the sum of four well-sung parts. Collectively, there are decades of experience among them, along with numerous GMA Dove Awards, Grammy nominations and other honors. Yet accolades are not what draw these four men together, it is their shared love for communicating the music and message of Jesus. The group’s name, Canton Junction, literally means “the crossroads of different subjects or regions into one gathering point.” That definition perfectly describes exactly what happened when these four musical forces collided. Aaron Crabb, Tim Duncan, Matthew Hagee and Shane McConnell are four very different individuals who came from varying musical backgrounds and geographic locations, yet the moment they began singing together they stood on common ground. The group’s musical style is also representative of many roads merging into one. The influences you will hear range from timeless hymns, to the Eagles... from southern gospel to big band. Among the group’s repertoire are time-tested songs of the church, fresh new songs written out of their own experiences, as well as songs you may have already heard, but never sung like this. After years of making music individually, these four have a harmony – literally and figuratively – that is out of the ordinary. Lead singer Aaron Crabb traveled with award-winning gospel group The Crabb Family for more than a decade before launching into his solo flight in ministry as Worship Leader at Cornerstone Church. During the Crabb Family’s musical journey, Aaron sang and produced nineteen #1 gospel songs and he has contributed to the group’s repertoire as a songwriter. He has performed on such prestigious stages as Carnegie Hall and The Grand Ole Opry, yet “prestigious” is not a word Aaron would use to describe himself. This rural Kentucky-born boy simply loves his Lord, loves his family, and loves singing. He fully believes in the power of music to heal hearts and hold onto the truth that gets us through whatever life throws us. Bass singer, Tim Duncan, is a self-described “quartet man” and he has fans across the globe who agree, evidenced by the Singing News Fan Award for Best Bass he was awarded the first year he was nominated (2006). Some of Tim’s earliest memories consist of his dad buying quartet records. He fell in love with the excitement of long endings, the tenor soaring and the bass booming. He now brings to Canton Junction 16 years of full-time singing experience and, as one of the original four members of Ernie Haase & Signature Sound, he has been a part of numerous Billboard-topping albums and DVDs, Dove Award honors and Grammy nominations. But Tim doesn’t get caught up in all that. He knows he is called to sing and he loves to make people happy singing the best music in the world – music that communicates the best news ever. 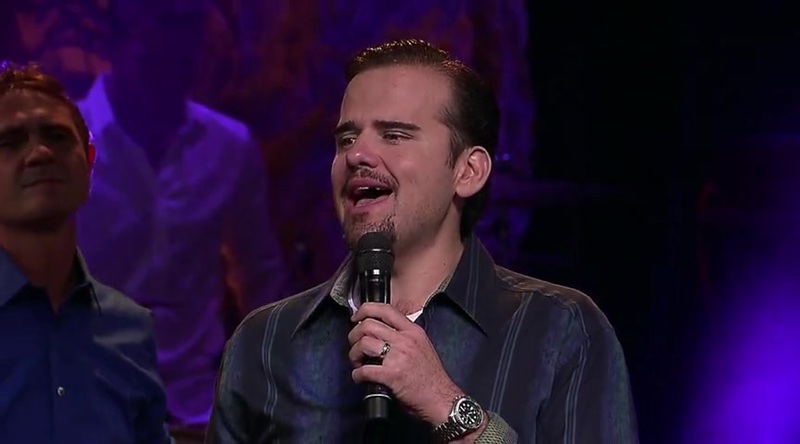 Tenor, Matthew Hagee, carries on a six-generation legacy of ministry working alongside his father, John Hagee, founding pastor of Cornerstone Church. He grew up singing around the piano with his family and draws from all varieties of musical influences ranging all the way from big band to bluegrass. A graduate of Oral Roberts University School of Business, he is a gifted speaker, accomplished vocalist and the author of “Shaken, Not Shattered” and “Response-Able” (both published by StrangCommunications). Matthew is also a true Texan, easily as comfortable trading horses and cattle as he is on a platform. Baritone, Shane McConnell has been a highly sought after Nashville studio vocalist since 1998, having performed on recordings by Garth Brooks, Wynonna, Kenny Rogers, Steve Green, Sandi Patty, Andy Griffith and Bill Gaither, among countless others. In addition, his voice has been heard on recordings for Walt Disney World and SeaWorld. Since 2006 he has been part of the Gaither Homecoming family, performing on Homecoming videos, live events and studio projects. Watch canton junction music videos free online! Godtube.com also provides videos with canton junction lyrics, singles, album information and reviews. Whether you're looking for an inspirational and encouraging song for your quiet time with God or an upbeat song to praise Jesus, Godtube.com offers the largest online database of Christian music artists!